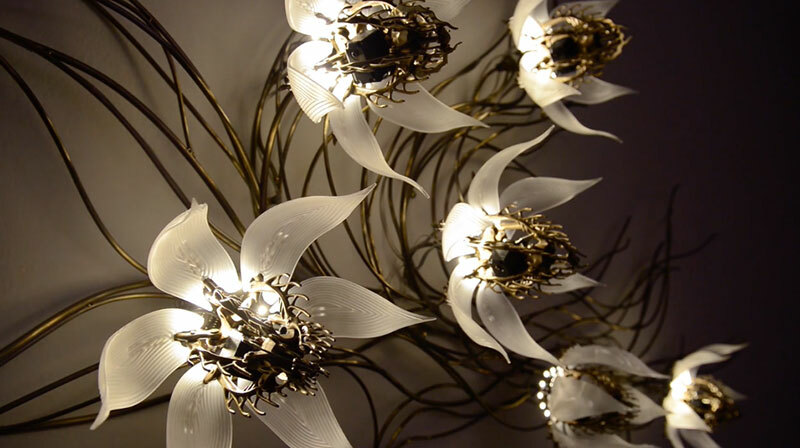 As part of the exhibition Odyssey: Navigating Nameless Seas at the Singapore Art Museum, Korean artist U-Ram Choe has a mesmerizing kinetic sculpture installed entitled Una Lumino Callidus Spiritus that consists of 51 shiny flower-like individual units with translucent shells. The metallic sculpture was inspired by colonies of barnacles that gather on and encrust neglected seaside structures. The units of the sculpture produce pulsating clusters of light as they communicate with one another. Operating as individuals, each unit is not programmed to follow a set pattern but is triggered by perturbations in its vicinity, thereby setting off chain reactions. On view at Singapore Art Museum through August 28. 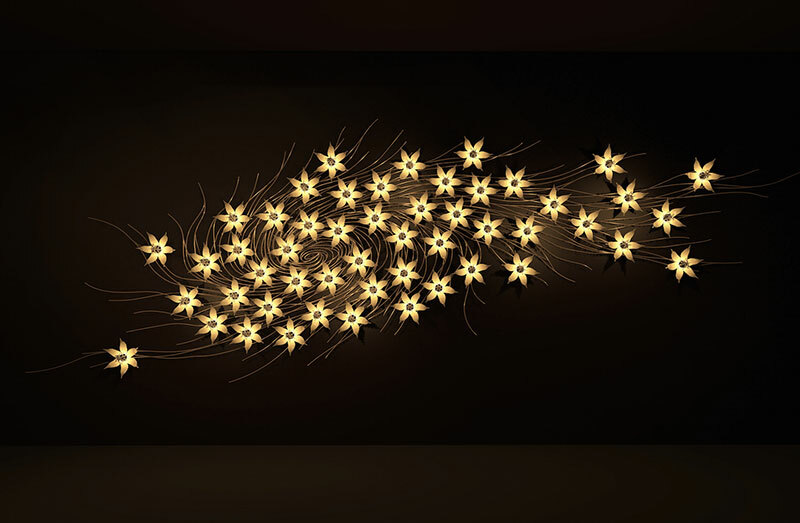 As part of the exhibition Odyssey: Navigating Nameless Seas at the Singapore Art Museum, Korean artist U-Ram Choe has a mesmerizing kinetic sculpture installed entitled Una Lumino Callidus Spiritus that consists of 51 shiny flower-like individual units with translucent shells.